Boating Fun at Stuart Boat Show! Come see what 42 years of successful stabilizing and sailing looks like, January 12 ? 14, 2018 at the largest boat show on the Treasure Coast. 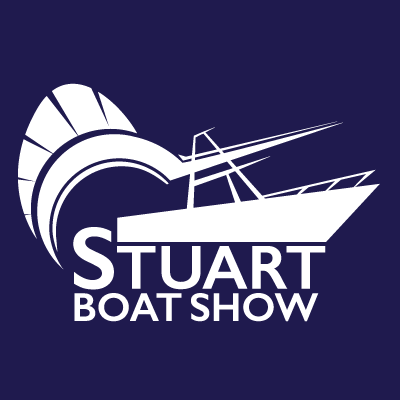 According to their website, the 2018 Stuart Boat Show will feature over 200 local, national, and international exhibits, including everything from marine electronics to motor yachts. On the market for a new yacht? Whether you?re an experienced boater or new to the industry, you haven?t experienced luxury on the Atlantic until you?ve sailed clean and crisp along the coast with our 2, 4, or 6-fin boat stabilizer system. Our stabilizers are?easily retrofitted on your new motor yacht. Need Better Boat Stabilization? Check Out Our Tab-Fin Stabilizers for Boats at Stuart Boat Show! Our tab-fin stabilizers with electronic gyroscopes have made rocking and rolling with the waves a thing of the past. At Stuart Boat Show, we will be happily explaining the benefits of installing a tab-fin system when you stop by to see our product display. But don?t just take our word for it. You can see for yourself by visiting our testimonial page and seeing an installation video on YouTube. With thousands of boaters in attendance over the show?s 3 days, you there will be quite a few captains and owners whose lives were made easier using our proprietary simple stabilizer system. Since we rolled this system onto the market, we have had countless yachters make the decision to install our unique system. Not only does it increase stability at low and high speeds, it doesn?t create extra drag common with our competitors? systems. Imagine having so much improvement in the stability of your boat with virtually no hindrance to performance. As the captain of your ship, you know what?s best for you, whether sporting or sailing, yacht racing or leisurely cruising. With 42 years in the business testing and perfecting our craft, you can count on us to provide the best product, the most thorough installations, and the best customer service on any boat our marine gyro stabilizers are put on. Stop by our exhibit at Stuart Boat Show to ask your questions and see a live demonstration of our boat stabilization products. We look forward to showing you why you should only choose our air-powered stabilizers to hit the water with. If you aren?t able to make it to the show, please call us at 772-283-1711?to order.